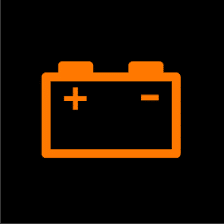 Home » engine » How to tell if car battery is dead? Introduction: How many instances have you jumped into your car only to realize that it cannot start? I know they are several and the main cause is usually the car battery. Sometimes you get into your car and even the headlights won’t turn on regardless of the number of times you try t ignite the car. The battery of a car is very essential for the ignition and lighting of the car. A car battery can become dead if mishandled or not frequently checked for any flaws. There are many signs of a bad car battery ranging from detectable to complex and hidden signs. It is recommended that one checks the battery often in order to detect any problem that might have developed. Do not let the battery. The following are the ways to tell whether a battery is dead. If your battery is not producing electricity at its optimum level, then the battery should be replaced or thoroughly checked. In some instances, the car battery may only produce power at some intervals which clearly indicates that the battery has chemical issues. 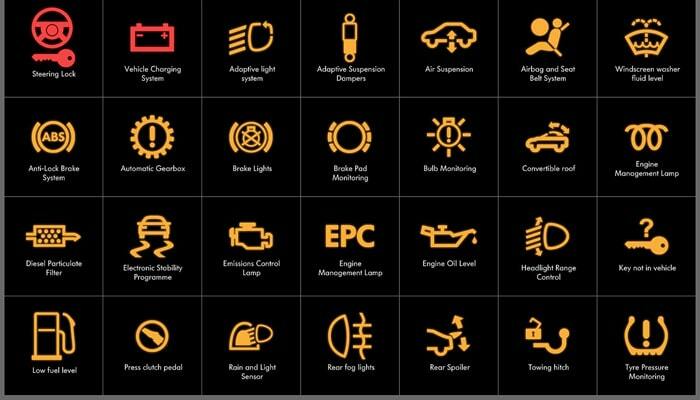 These kinds of problems can be revealed by failure in lighting the head lights or any other lighting bulb in the car. Malfunctioning of the car battery starts to surface when the battery cannot support lighting even if it is charged. 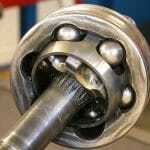 Ignition becomes a problem and the car may fail to start at all. This is one way on how to tell if a car battery is dead. The car fails to start and the lights are either dim lit or totally dark. The only solution left in such a situation is to replace the car battery. The worst of all, the car can come into a halt if the battery is completely dead (no joke). It is advisable to always carry a spare battery for replacement. For example, if it is at night and the lights fail due to a malfunctioning battery, then it can appear difficult to continue with the journey. Secondly, if the car battery cells are black or brown in color it one of the signs of a dead car battery. It happens mostly with the wet-cell batteries which are flooded with distilled water. One of the main causes of this is sulfation. Sulfation is the process in which the plates of the battery react when exposed to oxygen. The resulting product after reaction is a dark or brown coating that smears on the exposed parts of the plates. When the sulfation occur, there is usually less chemical reactions in the battery and hence the failure. 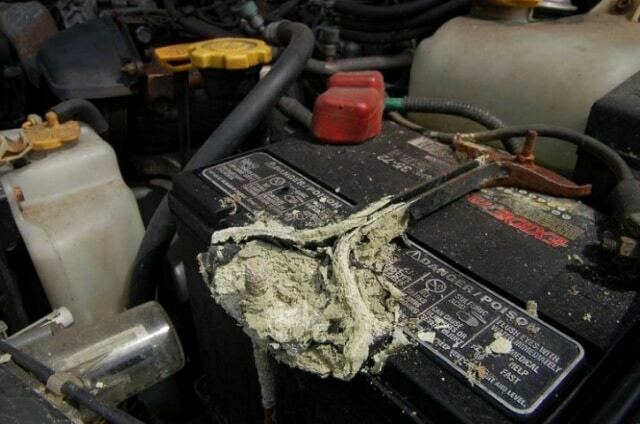 Sulfation is the main cause of battery failure. When the cells turn black or brown, the battery is dead and cannot function for a long time before failure. It does not matter how many cells have turned their color but one cell renders the whole battery bad and useless. Don’t wait until your car comes into halt because of sulfation; replace the car battery even if one cell has changed to brown or black color. One indication that the car battery is dead is when the battery cannot read beyond 10.5 when fully charged. The battery has dead cell or cell if it cannot charge higher than 10.5. It should be considered dead and useless. A charge less than 10.5 cannot make a car ignited or produce light. As from the table above, a charge of 11.9 and below is labeled “discharged” since the charge is not sufficient to support ignition and lighting. 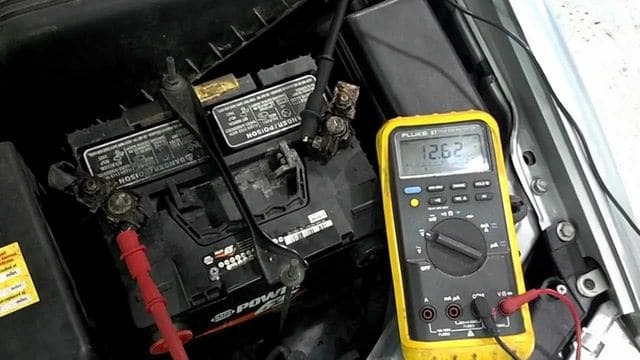 If the battery reads 12.5 volts or less and the indicator shows that it is fully charged, then some sulfation has occurred and the battery cannot survive anymore while working. Sulfation is severe if it cannot be reverse. In most cases, mere sulfation occurs but is reversed by re-charging the battery. If the sulfation has been allowed to stay for long without recharging, then the plates or the cells harden into a irreversible substance even after recharging. The latter type of sulfation is the one that makes a battery dead. When such an event happens, the battery voltage cannot exceed 12.0 volts which indicates that the battery is completely dead. Consider replacing the battery if any of the above occurrences happen since recharging the battery will not restore the car battery into its original state. The last tip on how to tell if a car battery is dead is making a loading test using a digital voltmeter. When carrying out the load test, the condition that should be met for accuracy is that the car battery should be fully charged. The first procedure for this test is to first connect the terminal s of the battery to the respective plugs of the digital voltmeter correctly; negative terminal to the negative prong and positive terminal to the positive prong of the voltmeter. The next step is to start the key while watching the movement of the voltmeter pointer. You should note the reading of the voltmeter. The speed of the movement of the voltmeter pointer should communicate something. For a normal car battery, the pointer should oscillate between 12.5 to around 13.2. A sharp decrease to zero indicates that the battery is dead. Again, if the pointer stops to move and then decreases steadily to a voltage reading below 12 the battery is close to being dead if not dead. Car batteries should be maintained by carrying out regular checks to detect any flaw. It is advisable to recharge the battery once the need arises. It is also important to buy car batteries from a reliable company as some batteries have manufacturing flaws. If your car battery shows any of the above problems they are signs of a bad car battery and you should consider replacing. The above Signs of a bad car battery should be considered whenever one wants to replace his or her battery.